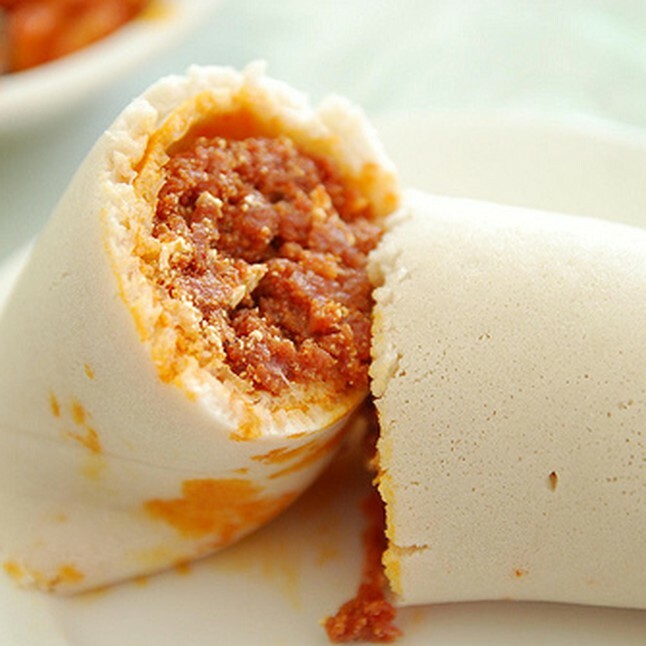 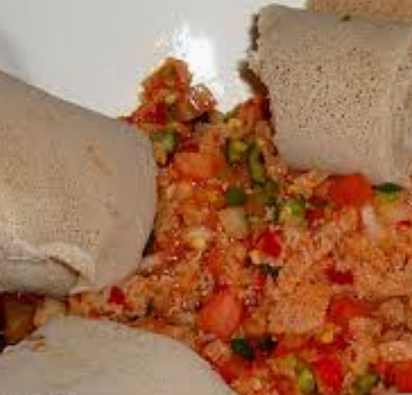 Ethiopian cuisine characteristically consists of vegetables and spicy meat dishes, usually in the form of wot, a thick stew, served atop injera, a large sourdough flatbread. 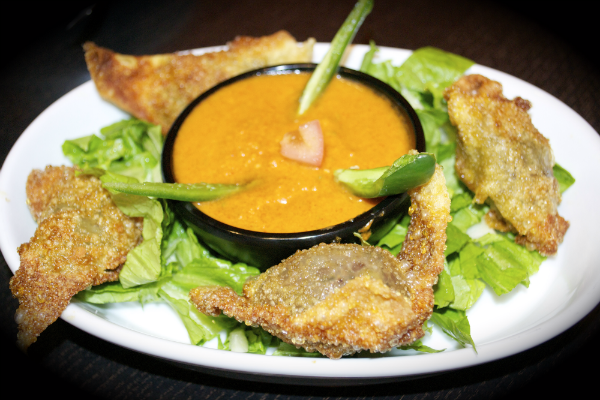 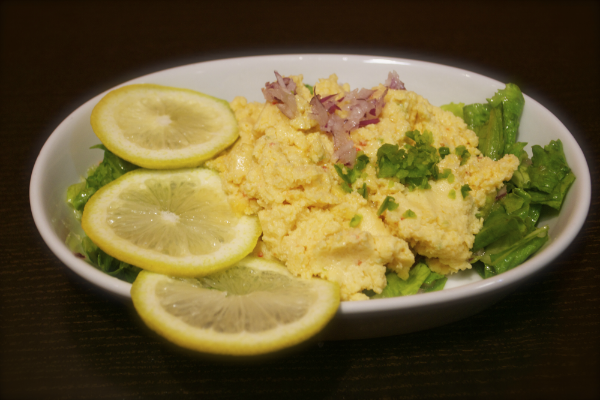 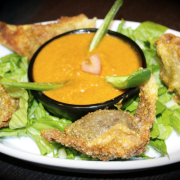 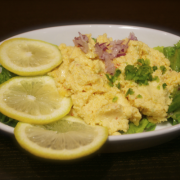 Our menu is full of varied flavorful dishes: appetizers, mild, spicy, vegetarian, vegan, chicken, lamb and beef. It’s all made with love and authentically Ethiopian! 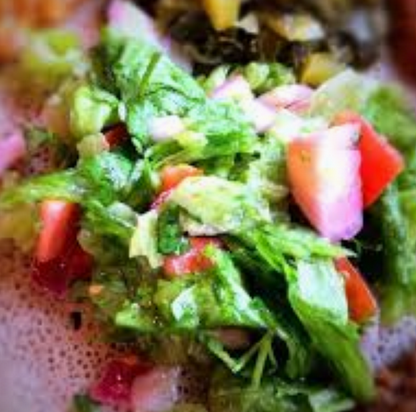 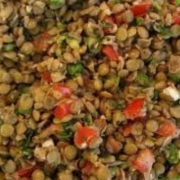 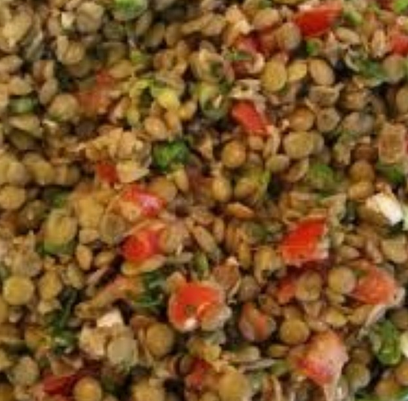 Ground chickpeas, peppers, garlic, and onions salad over lettuce served with injera.